Limiter No6 by vladg/sound is a Virtual Effect Audio Plugin. 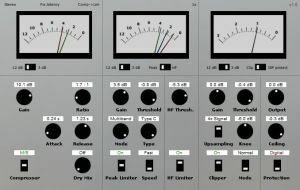 It functions as a VST Plugin and an Audio Units Plugin. 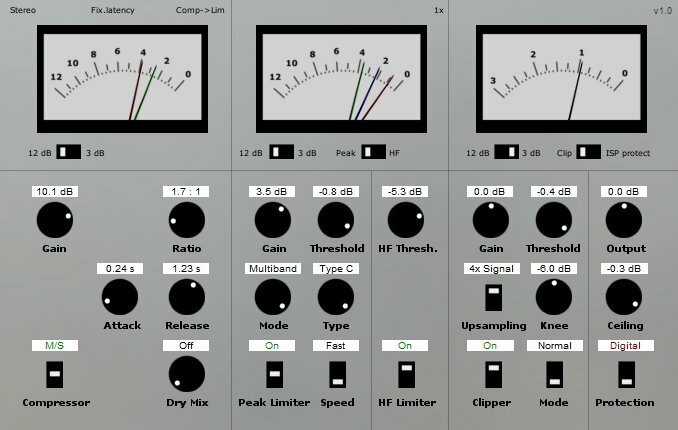 Limiter No6 is a freeware modular limiter suited for mastering purposes. 5 modules: RMS compressor, peak limiter, high-frequency limiter, clipper, true peak limiter. 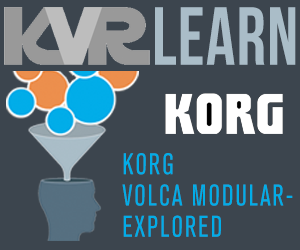 High-quality signal processing to use for mastering purposes. Brickwall and soft limiting with different timing settings. True inter-sample peaks (ISP) limiting. Best soft-clipper plugin on the planet, no joke. Slick HF limiter. This plugin is priceless. 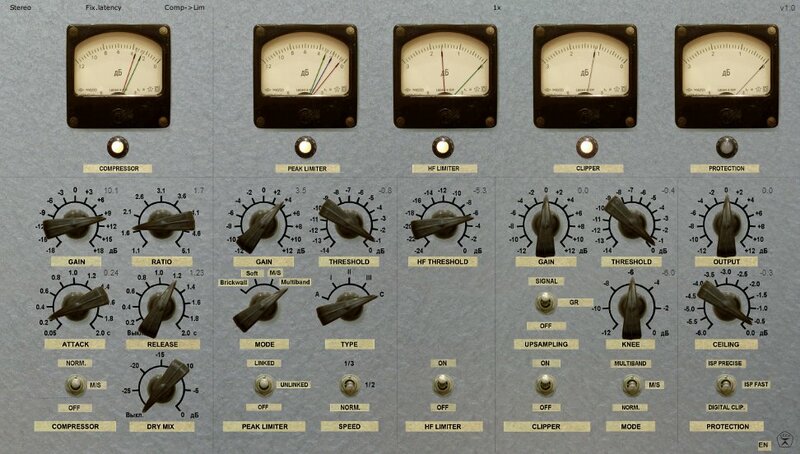 As one of the best compressor/limiter/clipper/ISPLs around, I still can't believe it's free. Don't forget to turn on 4x oversampling. 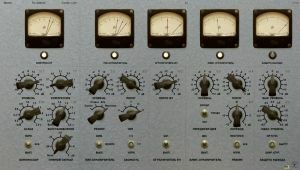 One of the most useful plugins I have, even over paid for ones. You have to be a bit careful as you can kill a mix with this, but used thoughtfully you can get near pro results. Each individual element is a great tool in itself. Don't expect an instant result with this. You need to get a feel for each element to get the best results. I don't even recommend using the presets. Just feel your way. Maybe start with getting the meters to peak around 2 DB and see where that takes you. This has awesome presets and came highly recommended & turned out to be a top 3 of my growing list. Its the best Mastering "get the Volume up" Ive ever used! great ..rated 10.
this thing sounds AMAZING true inter sample limiting with a variety of modes to be honest the inter sample is all i downloaded it for because i have a favorite limiter but I did a final limiting with this and noticed with all the components like the hi frequency limiting and mid side compression I got the signal louder with almost no dynamic loss with true limiting. now there are a Million problems for one its clunky feels like its laggy when you turn the knobs it freezes the meters and they are not smooth they seem to almost jolt to the next value. and the meters are not very smooth at times. the compressor i would like to have a threshold. so a 8 because i can use it i love it and im willing to pay money for it but its just not fully ready I feel. okay so i got the better looking one to work i did the exact same settings it is a little easier to get the settings and i like the meters alot more. i got them both at exact same settings and notice they did not null to inf actually slight slight levels still came out when listening i found they have a slight different sound the ugly one has a more dynamic clear sound like you just boosted the levels keeps it very clean and clear. the better gui has more of a thicker sound like it adds harmonics it was not as dynamic but sounded full and warm I say they both are amazing but still need work on the Gui working smoother all in all both the limiters sound different and are both amazing. Note - the 1.0.2 version may have issues with Reaper, where it eats memory. There's a 1.0.2b version that fixes this. with a bridge I cnc'd and a Lace low profile mag pickup. 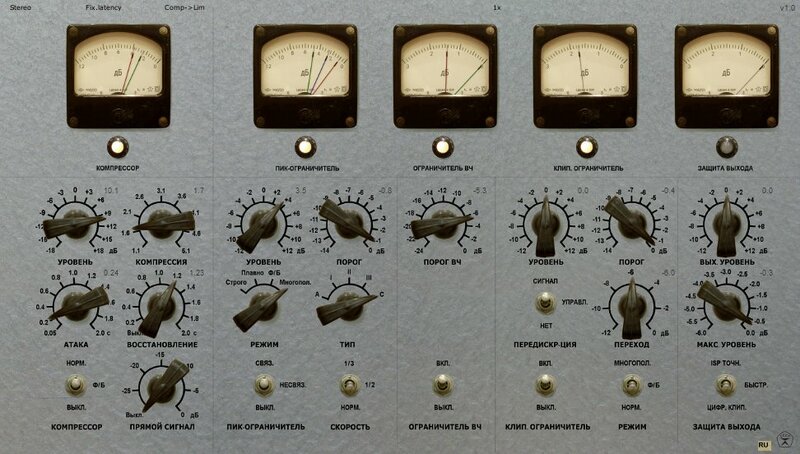 Just direct, a bit of Gliss EQ (Voxengo) and the Limiter6 1.0.2b version. Just great.